This 10.5" x 13.5" (26.67 x 34.26 cm) photograph shows the Rusin Cultural Garden in 1939. The Rusin plot was dedicated on June 25, 1939, and on May 25, 1952 the garden was dedicated during the unveiling of a statue of Father Alexander Basil Duchnovich, a Rusin priest, patriot and poet. Rusins, a Slavic race stemming from Russians and Ukrainians, are sometimes known as Carpatho-Russians or Ruthenians. They lived in a portion of the Austro-Hungarian Empire until 1918 when the area was annexed by Czechoslovakia. It was later seized by the Soviet Union after World War II. The Cleveland Cultural Gardens, located along East Boulevard and Martin Luther King Jr. Boulevard, are landscaped gardens with statuary honoring Cleveland's ethnic groups. During the dedication of the Shakespeare Garden in 1916, the city decided to create similar areas for each of the city's ethnic communities. The first of these gardens, the Hebrew garden, was established in 1926. On May 9, 1927 the city set aside part of Rockefeller Park for future gardens. The Italian, German, Lithuanian, Slovak, and Ukrainian gardens were established in 1930; the Polish, Hungarian, Czech, and Yugoslav gardens in 1934; and the American, Russian, Irish, Greek, and Syrian gardens in 1938. Romanian, Estonian, Afro-American, Chinese, Finnish, and Indian gardens have since been added. 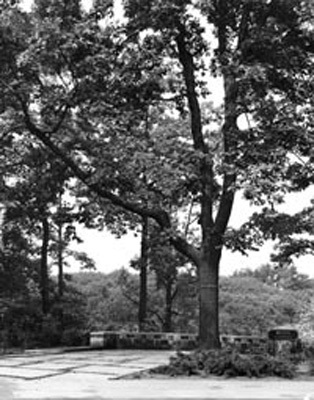 Planning and fundraising for each garden was undertaken within the ethnic communities, while the Cleveland Cultural Garden Federation (established in 1925) oversaw planning and coordinated various joint programs. Cleveland Public Library, Photograph Collection CP 03 from the Cleveland Rockefeller Parks Picture Collection Collection.